SHANGHAI -- China's SAIC Motor said it will begin sales of MG cars in mainland Europe though its Luxembourg-sales unit starting at the end of 2019. MG cars have been sold in the UK since 2011 but SAIC delayed plans to launch in the rest of Europe after UK sales remained slow even though the brand enjoys high recognition from the time when its former British owners built classic sports cars such as the MGB roadster. MG's rollout will include the majority of European markets and will focus on SUVs, subcompact hatchbacks and compact hatchbacks, SAIC said. The MG brand - absent from mainland Europe for 12 years - has not been forgotten, said Pieter Gabriels, head of SAIC's European arm. "MG is like Alfa Romeo. It's very hard to destroy the brand. It's hard to forget the good times," he told Automotive News Europe at the sidelines of the Shanghai auto show. SAIC took control of MG after merging in 2007 with Nanjing Automobile, which bought the assets of MG Rover following the collapse of the last British-owned mass-market automaker in 2005. MG Motors imports cars from China after ending final assembly at its factory in Longbridge, England, last year. SAIC created a new company called SAIC Mobility based in Luxembourg last year to oversee mainland European sales. Originally it had planned for its UK unit also to handle sales throughout Europe. Gabriels said SAIC's decision wasn't made in response to the UK's vote to leave the European Union. SAIC is talking with dealer groups about distributing cars and is investigating different ways to sell cars, for example directly to consumers through a web site, said Gabriels, who was in charge of Saab sales in the Netherlands and Hummer sales in Europe while working for Dutch importer Kroymans. He said buyers will need to be convinced to choose MG. "If you just want to bring another brand to the market that is cheaper than the rest, you will fail. No-one is waiting for another car brand, so we better have a plan," he said. The reasons for choosing an MG could be the car or the design or service, he said. 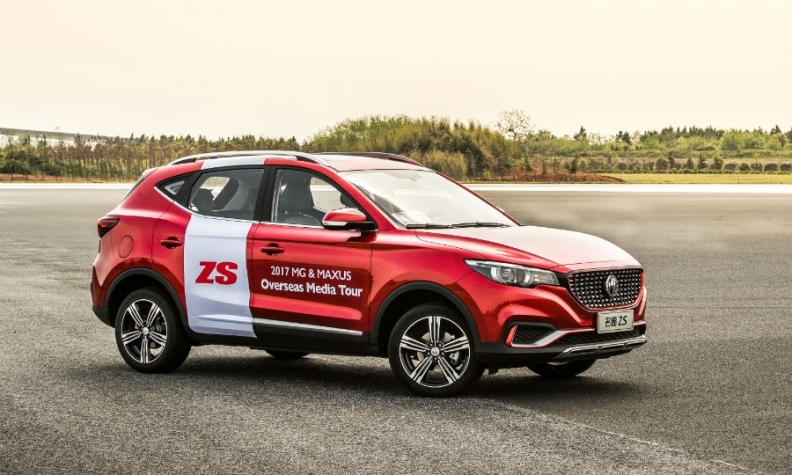 The model line-up will include the MG ZS subcompact SUV, which went on sale in China earlier this year, and the replacement for the current GS SUV compact. MG will launch the ZS at the end of the year. MG in the UK sells the GS and the MG3 subcompact, and will launch the ZS at the end of the year. 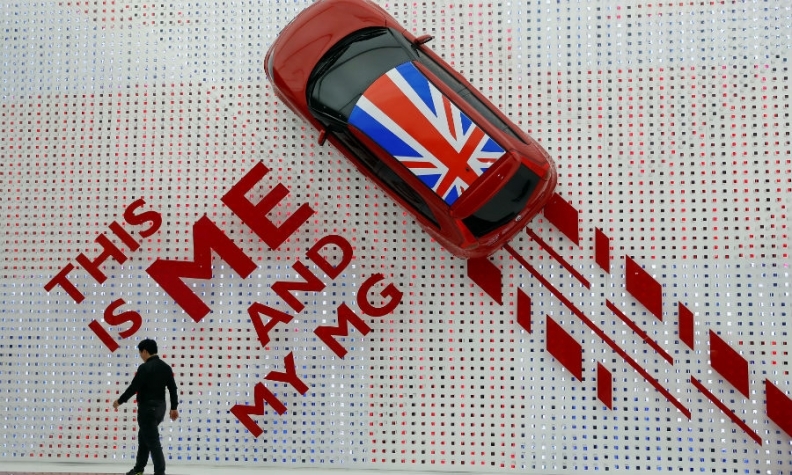 Last year, MG's sales in the UK were 4,195, up 33 percent on 2015, according to data from market analysts JATO. SAIC has previously said success in Europe would help it to sell more cars in China where European popularity helps to make brands more desirable to Chinese consumers. The automaker sells large numbers of cars in China built by its joint venture partners Volkswagen Group and General Motors but few of its own brand models. Last year, its Roewe brand sold 241,331 cars in China while MG sales were 80,289, according to figures from data compiler Bestsellingcarsblog.com. Roewe and MG share platforms and engines. SAIC Mobility didn't give any sales targets for Europe. MG will continue to offer only gasoline models when it launches in Europe, despite diesel cars accounting for about half of European new-car sales. Diesel share is declining due to the Volkswagen emissions-rigging scandal and tightening emissions controls. SAIC's Maxus division will begin sales of light commercial vans this summer with a pilot scheme to sell the electric EV80 van. The van will initially offered to selected urban delivery fleets, who will use it to replace equivalent-sized rivals such as the Mercedes Sprinter and VW Crafter, Gabriels said. The van will cost almost double the prices of its diesel-engined rivals at 45,000 euros but its electric drivetrain means it will have lower on ownership costs after four to five years when fuel savings are taken into account, Gabriels said. The van has a range of 200 kms (124 miles). A broader range of Maxus vans will be offered from 2019 when the brand is formally launched. Maxus was formerly British van maker LDV, which SAIC bought out of bankruptcy from Russia's GAZ Group in 2009. SAIC still uses the LDV name in some markets.